All Our Super foods and exotic products are fresh, we do not keep storage but order in fresh when we receive your order. We work together directly with our source who ensures the freshest and finest nutritional products available, We have unlimited super foods available this way and you will always receive the freshest and highest quality goods from a meticulous source! Forests are among the most complex ecosystems in the world and full of nutritious soils with an environment rich in minerals to feed the fruit and berries grown in such a pristine environment and force of energy associated with its unique conditions in the earth. 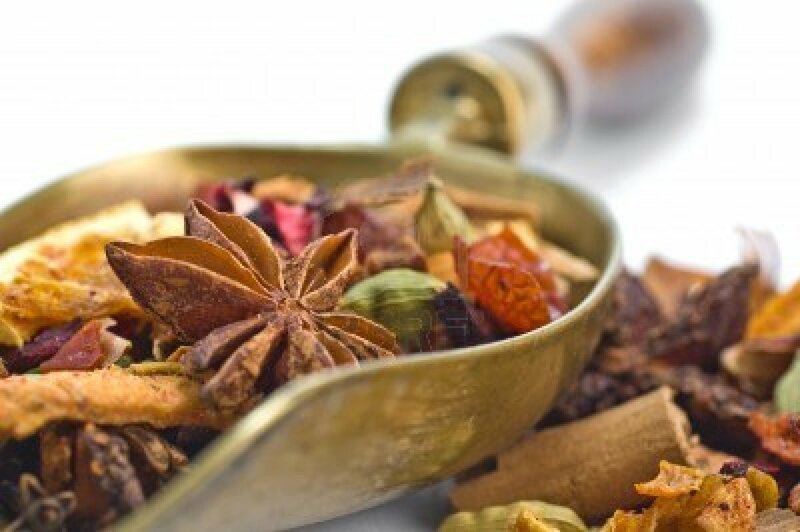 We offer you a selection of Dried nutritional Super foods, a gallery of the finest exotic Teas, Dried Seeds and Berries harvested from areas nature is alive such as forests and orchards. Wild harvested from Saffron fields in Iran Crocus sativus is the world's most expensive spice. Saffron are the stigmas from the crocus sativus flower. There are only 3 stigmas (referred to as saffron threads) per flower. Saffron is hand harvested so you can understand why it is so prized and so expensive. It takes about 13,125 threads to weigh one ounce. Health benefits of Saffron Saffron contains many plants derived chemical compounds that are known to have been anti-oxidant, disease preventing and health promoting properties. The flower stigma are composed of many essential volatile oils but the most important being safranal, which gives saffron its distinct hay-like flavor. Other volatile oils in saffron are cineole, phenethenol, pinene, borneol, geraniol, limonene, p-cymene, linalool, terpinen-4-oil, etc. This colorful spice has many non-volatile active components; the most important of them is α-crocin, a carotenoid compound, which gives the stigmas their characteristic golden-yellow color. It also contains other carotenoids, including zea-xanthin, lycopene, α- and β-carotenes. These are important antioxidants that help protect the human body from oxidant-induced stress, cancers, infections and acts as immune modulators. The active components in saffron have many therapeutic applications in many traditional medicines as antiseptic, antidepressant, anti-oxidant, digestive, anti-convulsant. Medicinal uses The active components present in saffron have many therapeutic applications in many traditional medicines since long time ago as anti-spasmodic, carminative, diaphoretic. safranal, a volatile oil found in the spice, has antioxidant, cytotoxicity towards cancer cells, anticonvulsant and antidepressant properties. Add to Tea or foods for active properties to be released. Manna (Hebrew: מָ‏ן‎) or al-Mann wa al-Salwa (Arabic: المَنّ و السلوى‎, Kurdish: gezo, Persian: گزانگبین‎), sometimes or archaically spelled mana, is an edible substance that, according to Abrahamic doctrine, God provided for the Israelites during their travels in the desert according to the Bible and the Qur'an. Food was not manna's only use; one classical source states that the fragrant odor of manna was used in an Israelite perfume and burning essence for clearing the space of negative energies. In the Biblical account, the name manna is said to derive from the question man hu, seemingly meaning "What is it? "; this is perhaps an Aramaic etymology, not a Hebrew one. Man is possibly synonymous with the Arabic term man, meaning plant 'lice', with 'man hu' thus meaning "this is plant lice", which fits one widespread modern identification of manna, the crystallized honeydew. In the environment of a desert, such honeydew rapidly dries due to evaporation of its water content, becoming a sticky solid, and later turning whitish, yellowish, or brownish; honeydew of this form is considered a delicacy in the Middle East, and is a good source of carbohydrates. Natural slightly sweet taste to be eaten raw. 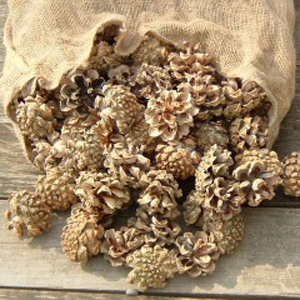 Crunchy, sweet and delicious pine nuts are small edible seeds of pine tree. Pine kernels are indeed very good source of plant derived nutrients, essential minerals, vitamins and "heart friendly" mono-unsaturated fatty acids that help benefit in reducing cholesterol levels in the blood. It may surprise you to learn that pine nuts can be a potent appetite suppressor. "Pine nuts are rich in the most important macro- and micronutrients: 70% of these are essential and relatively essential, which indicates the high biological value of proteins. While arginine (up to 21g/100 g of protein) is considered replaceable in the diet of an adult person, it is considered essential in the case of children. Pine nut protein is distinguished from the protein of other products by its elevated content of diamino-hexanoic acid (up to 12.4g/100g of protein), methionine (up to 5.6g/100g of protein) and triptophane (up to 3.4g/100g of protein) - these are the most frequently deficient amino acids, which usually limit the biological value of protein in product composition. Characterised by an elevated content of amino acids, especially arginine. These amino acids are extremely important to development of the growing organism. Hence cedar nuts have been essential in the diet of children, teenagers and pregnant women. Nut protein is easy to digest. Pine nuts contain valuable lipolytic vitamins E and P . E-group vitamins, or tocopherols, are very important and essential in ensuring complete genetic heredity. (The word tocopherol in Greek literally means "I bear offspring" . ) A deficiency of Vitamin E upsets the fatty balance in the system. Vitamin E is responsible for the production of milk in nursing mothers, and its deficiency can stop lactation. A person's predisposition to atherosclerosis can also be explained by a Vitamin-E deficiency. Pine nuts contain a complex of B vitamins, which normalise the activity of the nervous system, have a favourable influence on the growth and development of the human organism, and improve blood composition. Young wolves delight in feasting on cedar nuts during exfoliation. 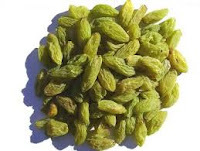 Cedar nuts are used by both carnivores and herbivores, and are an effective antidote to vitamin deficiency, which causes serious disorders in the system. Pine nut nuclei are rich in valuable mineral substances and micronutrients. 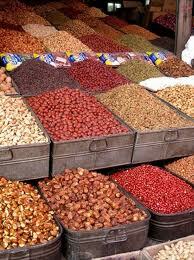 The food value is confirmed by the chemical composition of the cedar nuts. They surpass all other nuts as well as oil seeds in terms of phosphatidic content. As the richest source of lecithin they are comparable only to soybean. Cedar nuts are also a rich source of iodine, which is very important to residents of northern latitudes." (c) 2008 Regina B. Jensen, Ph.D.
They’re a good source of a polyunsaturated fat known as pinolenic acid. When you eat a handful of pine nuts, the pinolenic acid stimulates the secretion of a hormone produced by the intestines known as CCK. CCK sends the signal to your brain that you’re full which turns off your appetite. It also helps to slow down the rate at which your stomach empties so you feel full and satisfied longer. 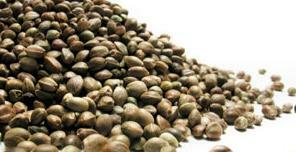 Hemp is a high protein seed containing all nine of the essential amino acids (like flax). It also has high amounts of fatty acids and fiber as well as containing vitamin E and trace minerals. It has a balanced ratio of omega 3 to 6 fats at around a three to one ratio. 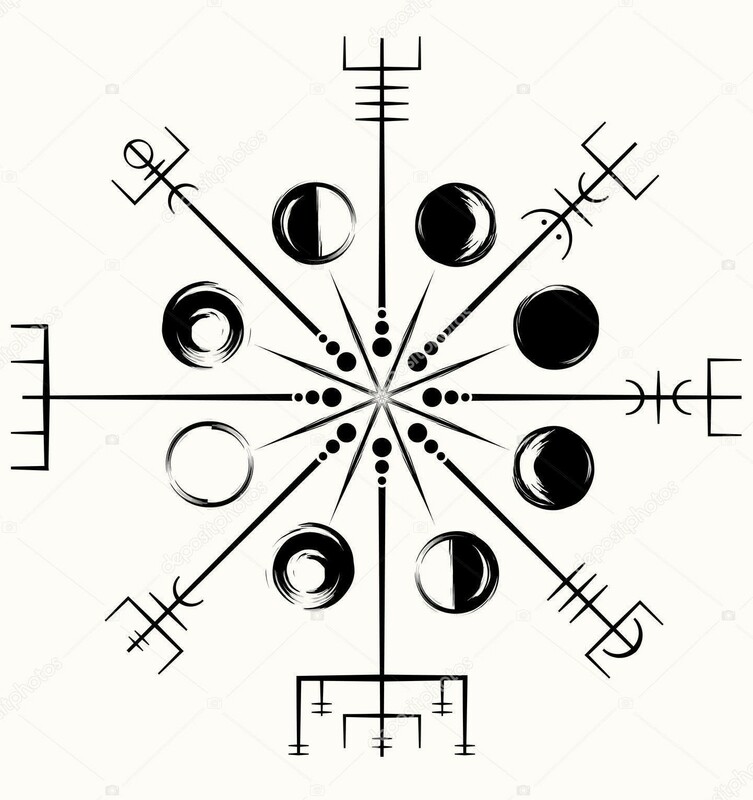 This won’t help correct your omega balance if it’s off, but it gives you the right balance to start with. All 20 amino acids, including the 9 essential amino acids (EAAs) our bodies cannot produce. A high protein percentage of the simple proteins that strengthen immunity and fend off toxins. 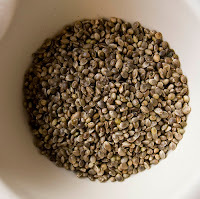 Eating hemp seeds in any form could aid, if not heal, people suffering from immune deficiency diseases. 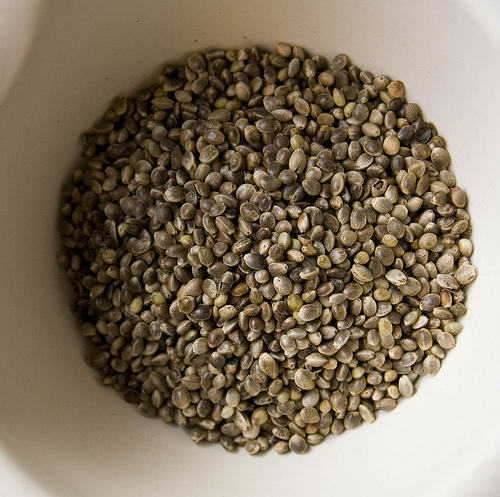 This conclusion is supported by the fact that hemp seed has been used to treat nutritional deficiencies brought on by tuberculosis, a severe nutrition blocking disease that causes the body to waste away. Nature's highest botanical source of essential fatty acid, with more essential fatty acid than flax or any other nut or seed oil. A perfect 3:1 ratio of Omega-6 Linoleic Acid and Omega-3 Linolenic Acid - for cardiovascular health and general strengthening of the immune system. A superior vegetarian source of protein considered easily digestible. A rich source of phytonutrients, the disease-protective element of plants with benefits protecting your immunity, bloodstream, tissues, cells, skin, organs and mitochondria. The richest known source of polyunsaturated essential fatty acids. Cherries are known as "super fruits" for their nutrition and antioxidants. Dried cherries ensure their availability 12 months of the year. Among the health benefits offered by dried cherries are opportunities to lose weight, cut cholesterol, and combat diabetes and heart disease. Other benefits include the taste and convenience of dried cherries terrific in trail mix, as a snack straight out of the bag, and stirred into the morning oatmeal, cereal, yogurt or pancakes. Nutrition According to The Vegan Diet, cherries are rich in Vitamin C, A beta carotene and such minerals as calcium, iron, phosphorous, potassium and zinc, among others. Nutrient levels of dried cherries are about as high as fresh, and their natural sugars can provide a swift burst of energy. Though higher than in sweet cherries, the nutrient levels of tart cherries diminish slightly in processing. Dried cherries are low in saturated fat, cholesterol, sodium, and calories, and they contain almost 20 different antioxidants. Health Benefits According to Choose Cherries, cherries have higher disease fighting antioxidants than most other fruits and 19 times more beta carotene than blueberries and strawberries. Cherries contain a flavonoid quercetin which can help prevent heart disease, and a phenolic acid amygdalin shown to reduce tumor size and pain of the cancerous process. Cherries' anthocyanins help generate antioxidant cell protection and repair, ease pain from arthritis and gout, and lower blood cholesterol. According to the "Cherry Nutrition Report," the flavonoids also reduce the risk of pre-diabetes syndrome. Melatonin found in cherries help regulate natural sleep patterns, prevent memory loss, delay the aging process--and perhaps even ease jet lag. A recent study at the University of Michigan revealed a diet that included the consumption cherries lowered body weight, especially "belly" fat. Benefits of Consuming There are many ways to enjoy the benefits of dried cherries. Blend them with almonds and whole-grain cereal for a trail mix. 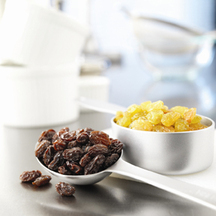 Note that 1 cup of dried cherries equals a complete serving of fruit. Add dried cherries to tossed, fruit, and chicken salads. Substitute dried cherries in your blueberry muffin recipe. 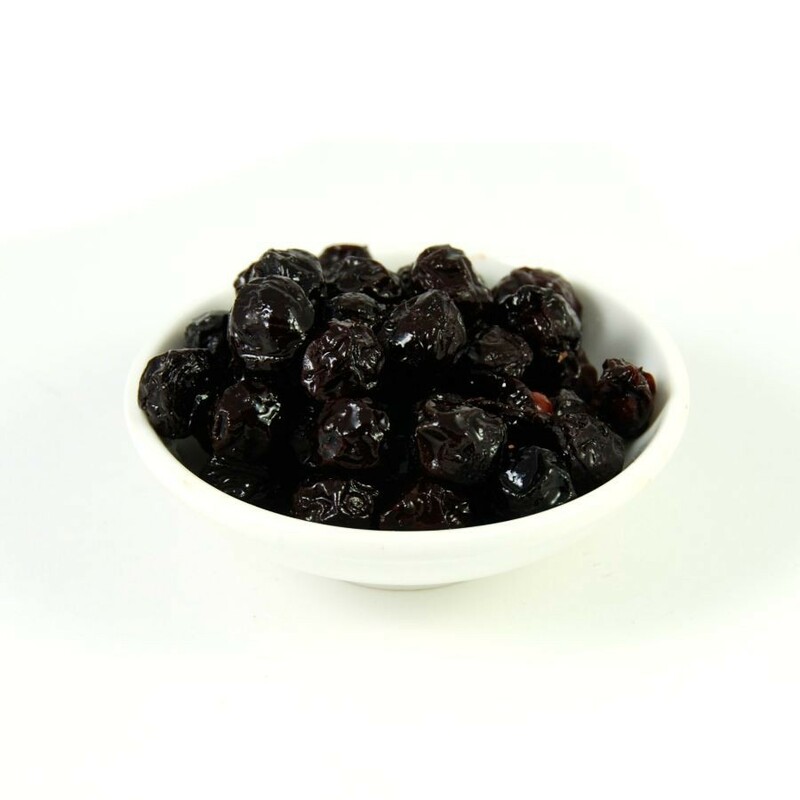 Keep a bag of dried cherries in your desk, purse, gym bag, or carry-on luggage. 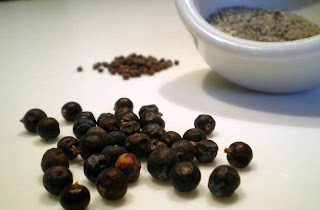 Add them to pasta, risotto, rice pilaf, grits, and couscous for a sharp dash of flavor. Try a few recipes like dried cherry apple pork chops; dried cherry oatmeal cookies; dried cherry walnut bread pudding; and dried cherry heart scones. 6 to 8 lbs of fresh tart cherries are required to make 1 lb of dried cherries. When stored in a cool, dry place, the minimum shelf life of dried cherries is 12 months. Widely popular, grapes are regarded in many cultures as “the queen of fruits," since centuries. These tiny berries are the storehouse of numerous health promoting phyto-nutrients such as poly-phenolic antioxidants, vitamins, and minerals. No wonder why many of us include them as an integral part of our diet, be it in the form of fresh table fruits, juice, or in salads! Botanically, they are small round berries; grow in clusters on a perennial and deciduous woody vine of the genus: Vitis. Grapes are native to Europe and Mediterranean regions but now widely cultivated all around the world. In structure, each berry features semi-translucent flesh encased in a smooth, thin skin. Some varieties contain edible seeds, while others are seedless. The color to the fruit is because of the presence of poly-phenolic pigments in them. Red or purple berries are rich in anthocyanins while white-green berries contain more of tannins, especially, catechin. Interestingly, these antioxidant compounds are densely concentrated on the skin and seeds! Grapes have been harvested from orchards in rich soil areas where the fruits grow wild and freely. Always freshly dried! Anthocyanins are another class of polyphenolic anti-oxidants present abundantly in the red grapes. These phyto-chemicals have been found to have an anti-allergic, anti-inflammatory, anti-microbial, as well as anti-cancer activity. Catechins, a type of flavonoid tannin group of anti-oxidants, found in the white/green varieties have also shown to possess these health-protective functions. In addition, the berries are very low in calories. 100 g fresh grapes just provide 69 calories but zero cholesterol levels. Grapes are rich source of micronutrient minerals like copper, iron and manganese. Copper and manganese are an essential co-factor of antioxidant enzyme, superoxide dismutase. Iron is especially concentrated more in raisins. In addition, 100 g of fresh grapes contain about 191 mg of health benefiting electrolyte, potassium. They are an also good source of vitamin-C, vitamin A, vitamin K, carotenes, B-complex vitamins such as pyridoxine, riboflavin, and thiamin. 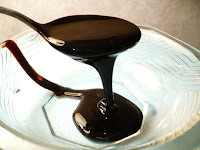 In the Mediterranean and Middle Eastern regions, molasses is something entirely different then in the occidental world, as Teas spices, syrups and powders are ways in which to infuse the body with concentrated doses of nutrients– Molasses comes in form of a heavy flavorful syrup, from sources such as pomegranates, dates, grapes, figs, carob, amd even mulberries. 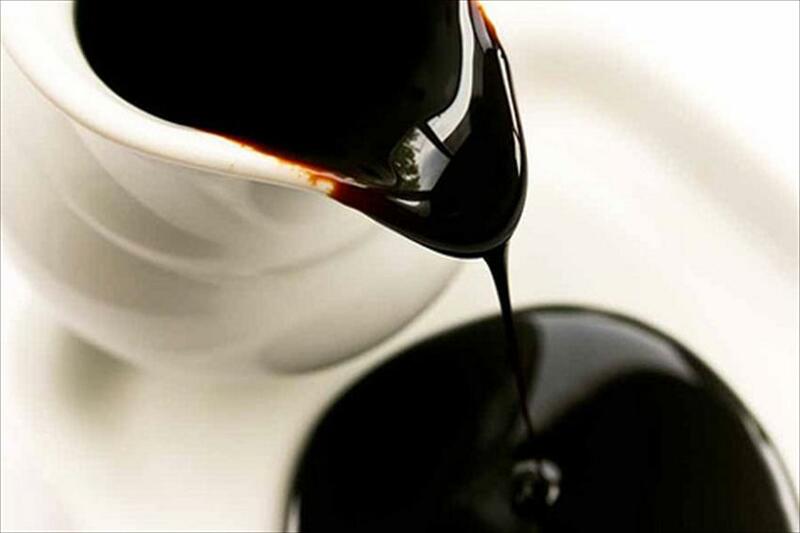 The process and the taste are completely different and full of delicious tanntalizing flavors. In the old times, sugar was extraordinarily expensive in regions outside of India, and honey even more so. During the summer months when sweet fruits were in abundance it was a way of preserving them with full nutritional value over the winter months. The fresh juices of these fruits were boiled and reduced down to create intensely flavorful and perfectly sweet syrups, or molasses. These syrups were the ideal sweeteners, capitalizing on peak season fruit, and kept for months. Much more healthy than other sweeteners or sources of sugar, given that they are fruit-based, and actually contain antioxidants, vitamins and minerals. There are so many ways to use, simply mix it with water or milk for a great drink, and eat it on toast with almond butter or tahini, served with cream cheese on currant scones or drizzled on cinnamon waffles. Beyond all of the sweet dishes, the syrup can be added to stews to add a sweet thickness instead of starchy alternatives. Refreshingly succulent, tart and sweet mulberries are indeed rich in numerous health benefiting flavonoid phyto-nutrients. The red or American mulberry (Morus rubra) is native to eastern United States. 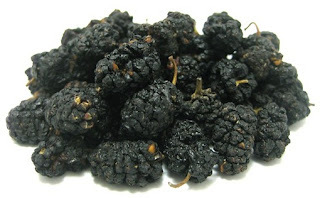 Black mulberry (Morus nigra) is native to western Asia. Mulberries are large, deciduous trees native to warm, temperate, and subtropical regions of Asia, Africa, and the Americas. 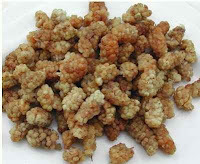 Health benefits of mulberries Delicious, fleshy, succulent mulberries are low in calories (just 43 calories per 100 g). They contain health promoting phyto-nutrient compounds like polyphenol pigment antioxidants, minerals and vitamins that are essential for optimum health. It has antioxidant and anti-inflammatory actions, which may be helpful for a variety of conditions. Such ailments include cardiovascular disease, breast and skin cancers and Huntington's disease. Mulberries have significantly high amounts of phenolic flavonoid phytochemicals called anthocyanins. Scientific studies have shown that consumption of berries have potential health effects against cancer, aging and neurological diseases, inflammation, diabetes, and bacterial infections. The berries contain resveratrol, another polyphenol flavonoid antioxidant. Resveratrol protects against stroke risk also a powerful natural antioxidant. Consumption of foods rich in vitamin-C helps the body develop resistance against infectious agents, counter inflammation and scavenge harmful free radicals. The berries also contain small amounts of vitamin A, vitamin E and in addition to the above-mentioned antioxidants. Consumption of mulberry provides another group of health promoting flavonoid polyphenolic antioxidants such as lutein, zea-xanthin, ß-carotene and α-carotene in small but notably significant amounts. Altogether, these compounds help act as protect from harmful effects of oxygen-derived free radicals and reactive oxygen species that play a role in aging and various disease processes and an important dietary carotenoid thought to provide antioxidant functions and protects the retina from the harmful ultraviolet rays through light-filtering actions. Mulberries are an excellent source of iron, which is a rare feature among berries, contain 1.85 mg/100 g of fruits and Iron, being a component of hemoglobin inside the red blood cells, determines the oxygen-carrying capacity of the blood. They also good source of minerals like potassium, manganese, and magnesium. Potassium is an important component of cell and body fluids that helps controlling heart rate and blood pressure. Manganese is used by the body as a co-factor for the antioxidant enzyme, superoxide dismutase. They are rich in B-complex group of vitamins and vitamin K. Contain very good amounts of vitamin B-6, niacin, riboflavin and folic acid. These vitamins are function as co-factors and help body in the metabolism of carbohydrates, proteins and fats. Sour cherries are loaded with important nutrients, including phytochemicals (disease-fighting plant compounds), antioxidants and vitamin C.
This tiny dark red fruit is beneficial for cancer prevention, reduces inflammation, enhances heart health and provides other health benefits. 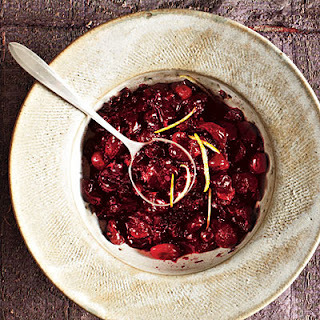 Antioxidant-Rich Fruit Sour cherries are red fruits. Red fruits and vegetables are rich in the antioxidant phytochemical class known as anthocyanins. Phytochemicals give brightly colored fruits and vegetables their colorful hues. Anthocyanins, in particular, encourage healthy circulation, ensure proper nerve function and offer anti-cancer properties. According to a study published in the "Journal of Nutrition" in March 2002, researchers found that plants that contain the most antioxidants include members of the Rosaceae family (fruits include the sour cherry, blackberry, strawberry, raspberry). Sour cherries offer a healthy dose of the antioxidant vitamin C. Vitamin C is essential for a strong immune system and plays a role in collagen synthesis, as well as wound healing. Cancer Prevention In addition to vitamin C and anthocyanins, sour cherries are loaded with three disease-fighting chemicals that have been shown to stop cell transformation (leading to cancer). These powerful chemicals include perillyl alcohol, limonene and ellagic acid. Only cherries contain all three chemicals. They are particularly protective against breast, lung, liver, skin and colon cancers. In fact, findings from an experiment designed to test the potential of sour/tart cherry anthocyanins to inhibit intestinal tumor development Researchers found that mice consuming the cherry diet had significantly fewer and smaller adenomas than mice consuming the control diet. Cherry anthocyanins also reduced cell growth of certain human colon cancer cell lines in vitro. These results strongly suggest that sour cherry anthocyanins may reduce the risk of colon cancer. Cardiovascular and Anti-Inflammatory Benefits Sour cherries contain quercetin, one of the most powerful antioxidants. Among other functions, quercetin prevents oxidative damage, via free radicals, from damaging low-density lipoprotein (LDL or "bad" cholesterol). When LDL cholesterol is oxidized, it is more likely to adhere to artery walls, forming plaque, which contributes to heart attack and stroke. sour cherry seed kernel extract significantly improved the recovery of cardiac function (including blood flow and blood pressure) following a heart attack. Because sour cherries are rich in two anti-inflammatory compounds, anthocyanins and quercetin, they may be beneficial in alleviating asthma symptoms and other respiratory conditions and offer relief for gout sufferers (gout is a painful form of arthritis). According to an article published in "Science Daily" in February 1999, the anthocyanins and other compounds found in tart cherries inhibit pro-inflammatory enzymes called cyclooxygenase-1 and -2 and reduces pain. The cherry tree (Prunus cerasus) has grown in Europe and Asia since 600 BC. It is known for its fragrant, white blossoms, which are followed by small, bright red fruits, sour cherries. Ripe sour cherries are harvested by vigorously shaking the trees. The cherries can be eaten raw, juiced, dried, frozen or tinned, cooked for use in pies, and jams and are also used for wine and liqueurs. The cherry stone yields edible oil that, once refined, can be used in a salad dressing. The leaves can be used as a tea. A gum can be obtained from the trunk. Traditionally, herbalists infused cherry fruit stalks to make a diuretic, astringent tonic for cystitis, oedema and diarrhoea. Cherries are used medicinally for laxative and stimulant qualities and as a well-known remedy for rheumatism, gout and arthritis. Studies suggest that sour cherries contain high levels of anthracyclines, are anti-inflammatory and antioxidant. 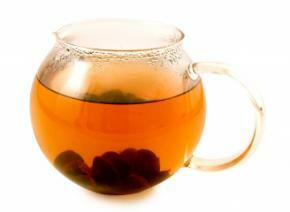 We make our infusion by adding dried cherries to boiled water. Crystallized Raw cane sugar can be used to as the perfect substitute for harmful bleached sugar, and enjoyed in Tea to enhance its flavour with the addition of Saffron threads to give and exotic taste to any Sorbet or drink. Low in calories and yet sweet, sugarcane is an excellent thing to eat and drink. It is rich in vitamin B2, magnesium and calcium while its potassium content makes it a good laxative. Overall, its drinks effectively work to cool down the body in hot climates and conditions like jaundice. Healthy and nutritious, sugarcane is indeed one of the most valuable farm productions that this world has. All fruits and berries are available also in form of concentrated fruit rolls with no sugar or preservatives added, all freshest quality, we have all fruit available combined as well as individual fruit concentrates. All dried products are available at wholesale if interested please make an enquiry. Also in Apple and Pomegranate which are very high in nutritional value and has concentrated active nutrition high in antioxidents and phytosterols. Fruit leathers are homemade fruit rolls. They are a tasty chewy, dried fruit product. Fruit leathers are made by pouring pureéd fruit onto a flat surface for drying. When dried, the fruit is pulled from the surface and rolled. It gets the name "leather" from the fact that when pureéd fruit is dried, it is shiny and has the texture of leather. A small amount of salt is only added to cause the reaction, rather then sugar which gives the fruit its tangy flavor and also draws even more nutrition into the extraction during the process. Fruit leathers are made with fine quality fruits with no preservatives and no unnatural additions. A healthy snack for children and Adults, an ideal way to absorb concentrated fruit nutrients into the system in a delicious way! Service is only available in North America.